That picture of an anole lizard above my blog will give shivers to many people (the good or bad kind, depending on childhood imprinting). Many would be much happier with a puppy (a highly genetically modified organism commonly used to elicit endorphin release : ) and interestingly (or oddly) enough, Dave often used pictures of puppies and kittens in his posts at Grist. I have no recollection of David ever writing an article about nature. A few weeks ago a little girl was at our house holding my daughter’s pet leopard gecko, enthralled. 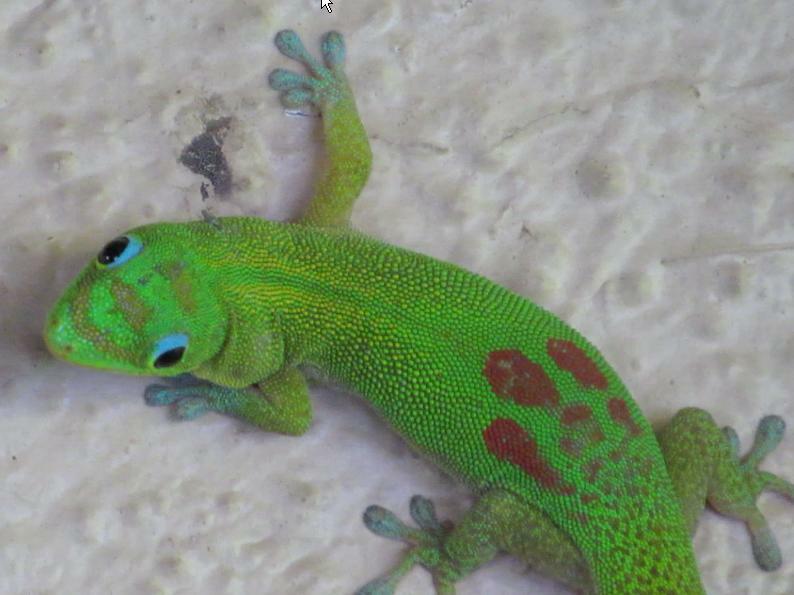 This same little girl had recently returned from Hawaii where she had been "freaked out" by Geckos running around on the walls ...until she spotted a day gecko. I got a text message from her parents with a picture of her posing in front of it. Childhood experiences are all important. This child may grow up to be a nature lover like my daughters, which, admittedly, in this age of the sixth extinction event, can be a double-edged sword. Every major environmental organization opposes the construction of new dams (hydroelectricity) quite simply because they are more ecologically damaging than fossil fuels, and many are working to have them torn down. I recently received an email from the Sierra Club about their efforts to remove the Snake River hydroelectric dams. As for plants, he means biofuels and biomass. Again, most, if not all, major environmental organizations oppose the use of plants for energy for the same reasons they oppose hydro. I was blogging for Grist through the biofuels craze that swept the world. It felt like every other article was about another group of students driving a biodiesel powered bus across the country to spread the gospel. The school bus fleet for my children’s high school used biodiesel, as did the delivery vans for the bakery in our neighborhood. Biodiesel stations were popping up on every street corner. I had two friends who bought Volkswagen Jettas (against my advice) so they could burn biodiesel, and both had huge repair bills as a result. A day didn’t go by that I didn’t filter out of the air with my pink lungs the black soot spewing from these biodiesel burning cars. At one point, Grist gave a billionaire venture capitalist an open invitation to write articles supporting his plan to build cellulosic ethanol refineries. George Monbiot was the first to raise the alarm with an article called Worse than Fossil Fuel. He was rewarded with thousands of hateful emails and comments (including a few death threats) from his fellow environmentalists. The biodiesel stations have disappeared. Even the blends of biodiesel in regular diesel have disappeared. Volkswagen got caught cheating on its emissions, there is no commercially viable cellulosic ethanol, and I haven’t inhaled the delicious smelling biodiesel soot from the seat of my electric bike for years now. However, corn ethanol now fills ten percent of your gas tank and has become a permanent backdoor subsidy for corn farmers in a time when America is starting to export crude oil. In conclusion and in hindsight, most mainstream environmentalists were wrong about biofuels, and have since changed their tune. The burning of biomass to make electricity is now hitting very stiff resistance from environmentalists and hopefully will go the way of biodiesel (but not corn ethanol). Had there been an internet when the antinuclear movement started, it also may have been brought under control by the dissemination of truthful information. But all we had for the first few decades was the sensationalist, for-profit lay press and the primitive, screened, "letters to the editor" process for feedback as opposed to comment fields (note that VOX has no comment field). The damage has been done. Antinuclearists, like nature lovers, are largely the result of imprinting during their impressionable years. No coal mines, oil wells, pipelines, or coal trains. No greenhouse gas emissions, car exhaust, or polluted streams. He missed one, oil trains--the go-to substitute when pipelines don't get built. I took the above video with my phone camera. Dave is attributing those benefits to renewables but they would be equally applicable from the use of nuclear. Dave’s antinuclear imprinting prevents him from seeing that point or acknowledging the downsides of hydro, biomass, and the future impacts of a massive expansion of wind. There will be no polluted streams with the end of fossil fuel use for energy (or nuclear for that matter)? The solar panel industry in China has created a real mess. Stream pollution from coal mining may end but mining for other materials would increase significantly, so no free lunch there. The vast lion’s share of water pollution comes from industrial activities, agriculture, and runoff from our manicured lawns. Puget Sound is presently an open sewer thanks to a failure at Seattle’s sewage treatment plant. It also didn’t mention them in point sources. No wars over oil, dependence on foreign suppliers, or resource shortages. Considering that we are now exporting crude oil, the "No War for Oil" bumper sticker is getting almost as rare as the biodiesel sticker in these parts. Not to say that pipe and tank leaks don’t occur, or that oil wells and tankers don’t sometimes go very wrong, but overall, those tend to be of short duration. They make headlines but are not a major source of chronic water pollution. The dead zone in the Gulf of Mexico is largely the result of agriculture. Ocean acidification, the mother of all water pollution problems, is largely the result of nuclear not displacing enough coal when the two sources compete for market share. Wow, all that from just his first few sentences. That’s also what activists said about biofuels replacing oil back in the day, which also inspired commitments by many cities and states that have since largely, slowly, and quietly, faded away. So, is it true? Do we know how get to an all-renewables system? Not yet. Not really. Current modeling strongly suggests that we will need a broader portfolio of low-carbon options, including nuclear and possibly coal or natural gas with carbon capture and sequestration (CCS), to get deep cuts in carbon. However, that’s only current modeling.There are many reasons to question what models tell us about the future three, four, five decades out. He’s right about the inability of any model to accurately predict the future. 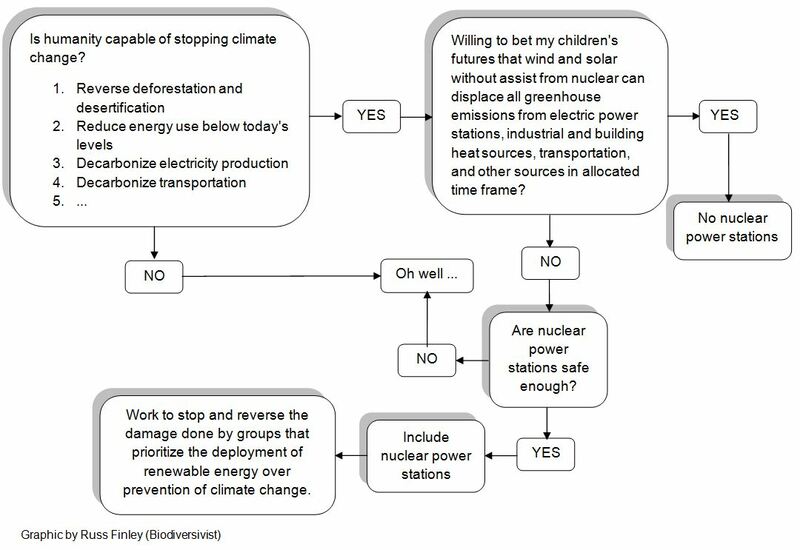 What he got wrong is his subtle suggestion to readers that future modeling will find that more nuclear won’t be needed as opposed to the other way around. They have typically underestimated renewables and likely still are. Most underestimates are the result of new policy changes that added mandates and incentives after study release. Inversely, because growth is tied to subsidy, anything that threatens the subsidy, threatens growth. So what’s the best way to get there? That’s where the dispute comes in. On one side are those who say we should transition to an electricity system powered entirely by renewables, most notably the Solutions Project, based on the work of Stanford’s Mark Jacobson, backed by a board of high-profile greens including Van Jones, Mark Ruffalo, and Jacobson himself. Dave has attached a bunch of what he considers influential names to his preferred energy path. Where is the equivalent bunch of influential names that favor the inclusion of nuclear? America’s best known scientist, the father of climate change, James Hansen, would have been a good choice for a pronuclear figure. On the other side are those who say that the primary goal should be zero carbon, not 100 percent renewables. They say that, in addition to wind, solar, and the rest of the technologies beloved by climate hawks, we’re also going to need a substantial amount of nuclear power and fossil fuel power with CCS. That’s the dispute. Some climate hawks oppose nuclear and CCS. Others — with attitudes varying from enthusiasm to weary resignation — believe that they will be necessary for deep decarbonization. Dave is the guy who coined the phrase Climate Hawk. Joe Romm praised the idea ...even proposed a symbol for it. Personally, I've yet to run across anyone professing to be a climate hawk who is not antinuclear. Dave is now trying to stick the label onto people who may not want to be associated with the antinuclear founders. My proposal for a button can be found below. And note that Dave is presenting readers with an extremist choice (100% renewables) verses a very middle of the road position (the inclusion of significant amounts of nuclear). The entire dispute revolves around a simple fact: The most abundant sources of carbon-free power, wind and sun, are variable. Wind and solar are best described as sporadic, not variable. Any power station with the ability to vary power output on demand is a variable power station. And most certainly, the most abundant sources of carbon free power today are hydro and nuclear. Wind is next with solar a distant fourth. Now, to be clear: There are tools to address these technical and economic problems [for wind and solar]. Lots of tools, more every day. There’s a whole blooming, buzzing swarm of research and innovation happening in this area. Not so clear. If there really were lots and lots of tools to address them, they wouldn’t be a problem, and the average German citizen wouldn’t be paying three times more for electricity than the average American citizen. He’s talking about future gizmos to reduce demand for electricity. I parsed his article on that topic here. Above, Dave puts a pair of sentences back-to-back to give you the impression that the dispute is over using nuclear to decarbonize that last 10 to 20 percent. But that isn't really what the dispute comes down to. The idea that the world can reduce emissions 80% with renewables for electrical and especially for all energy use is an untested hypothesis, let alone getting to 100%. 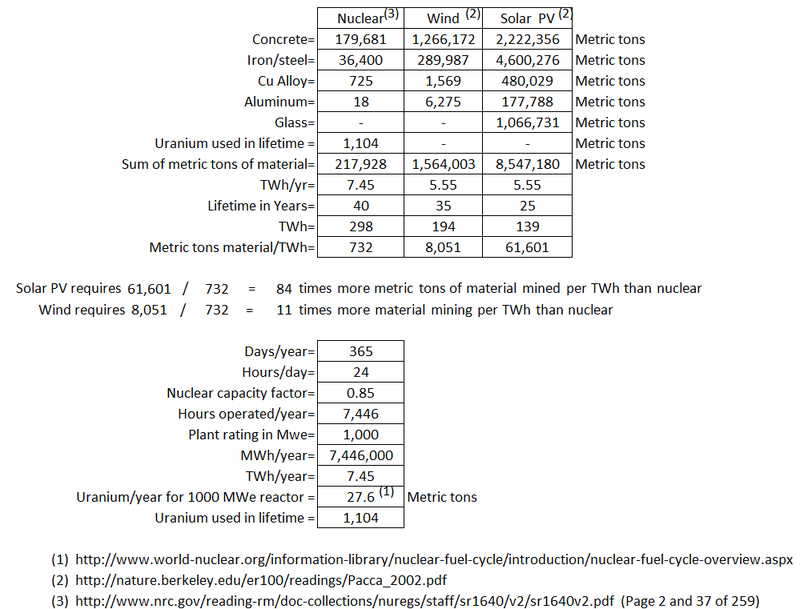 The dispute is over how much nuclear and how much wind and solar is going to be needed from start to finish. It is possible to get substantial decarbonization using well-understood technologies and policies. A great deal can be accomplished just by substituting natural gas combined cycle power plants for coal plants. While that’s going on, you grow renewables and maintain your existing nuclear and hydroelectric fleet. That is, practically speaking, how the US has reduced carbon emissions in recent years. David forgets France, which decarbonized its electrical sector with 75% nuclear decades ago and this was before climate change had made the headlines. As we noted earlier, non-dispatchable means VRE — on and offshore wind, solar PV, solar thermal, run-of-river hydro, anything based on weather — that can’t be turned on and off. Interesting how he used the term VRE (variable renewable energy) as a synonym of non-dispatchable, when most of his wind and solar enthusiast cohorts (Mark Jacobson most recently) use the term non-dispatchable to describe nuclear. Readers of Dave’s stuff are subjected to this kind of contradictory soup all the time. By the way, hydro, wind and solar can be turned off (curtailed). He meant to say that they can only be turned on when there is enough water, wind, or sun. Dispatchable supply, i.e., power plants — in the low-to-no carbon family, this includes nuclear (by far the most common, generating 11 percent of the world’s electricity as of 2012), fossil fuels with CCS, reservoir hydro, biomass (though it is controversial), and geothermal. Actually, the damming of rivers for hydro electricity is even more controversial than biomass, and CCS is further from reality than cellulosic ethanol. So what does that leave? Dispatchable demand — increasingly, demand for power can be managed, either reduced or shifted to different parts of the day/week. If this idea is feasible, it would improve the efficiency of any grid to use it regardless of power station type (fossil, wind, solar, or nuclear). Dave seems to think it would be a benefit only if using wind and solar. Energy storage — storage is interesting because, from a grid operator’s perspective, it can serve either as dispatchable demand (absorbing surplus VRE) or dispatchable supply (releasing energy during times of low VRE). And again, Dave seems to think this would only benefit wind and solar. Most energy storage today is put to use by nuclear to store its steady output at night during low demand for release in the day at periods of high demand and if a more feasible storage system arrives, it would likely benefit nuclear financially more than it would wind and solar. Here’s where we come up against the dispute. Will we need [more dammed rivers and more forests lost to biomass], nuclear and CCS to provide balancing, or can we do it without them? Again, this is Dave framing the dispute; damming rivers and burning trees are fine (not mentioned in above paragraph), nuclear is the problem. I edited Dave’s remark to re-frame the dispute. As I’ve repeatedly said, most environmental groups oppose increasing the use of biomass and hydro. And there is growing resistance to wind deployment by nature oriented environmental groups as well as by citizens who don’t want them in their back yards. 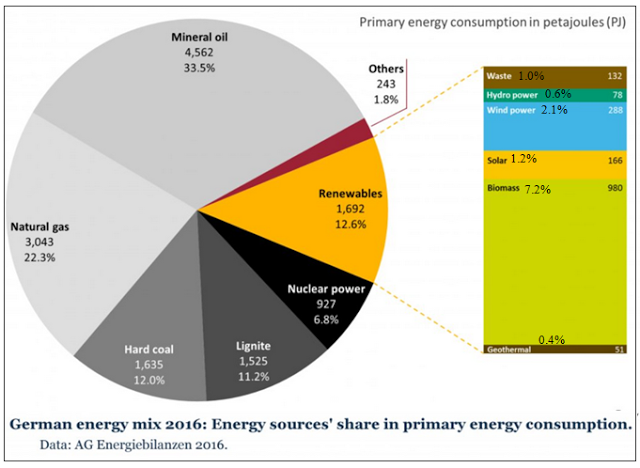 A 2017 study commissioned by the German government found that it would be full third cheaper to decarbonize with just 20% nuclear in the mix. Dave shows his hand again with the above derogatory terms for nuclear energy. Shouldn’t he have also said, to dam or not to dam, to burn biomass or not to burn biomass? To expand wind until it becomes one of the biggest sources of mortality for birds and bats? You have to hear Jacobson go off on one of his antinuclear diatribes to fully comprehend how utterly uninformed he is on that topic. But I digress. The positive environmental impacts calculated by Jacobson are primarily the result of cleaner air, which is the same result you get from nuclear. In other words, he has inadvertently calculated the health savings for using nuclear as well. And it has been shown using his own numbers that it would be cheaper to include nuclear in his mixes.